This is one of the more difficult reviews for me to write. Not because of the type of product reviewed, but rather because I don’t have anything to compare it with, (or against.) Most of the time when writing a review, being able to compare the product reviewed against some form of baseline aids in keeping the review as objective as possible. 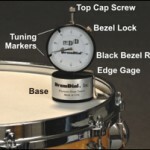 The DrumDial doesn’t really fit in a product segment to compare with. I believe I’ve identified a format for this article though that will make it informative and hopefully a useful resource for you to make your own decision whether you could benefit from such a device. In order to understand my perspective on this DrumDial Review it would help to first provide some background on the reviewer. First off, I’m not a skilled drummer. My level of drumming competence is probably in the lowest 10% of people who call themselves drummers. I do however believe I’m a fairly skilled tuner of drums and posses a fairly good comprehension of pitch, or as more commonly referred to as “ear”. There are still lots of folks that I can learn from but I would probably put myself in the top 30% in respect to my ability to tune drums. Commonly people ask me if I can wring something that resembles a passable tone from drums otherwise referred to as hopeless. As with everyone patience varies with mood and state of mind, some days I can do a better job of tuning than others as patience plays a large role in the success rate of tuning a set of drums. Also let me share with you that I’m a bit of a purist. Meaning I have a predisposition to do things in a traditional manner. Especially with acoustic drums as they are a traditional instrument. Not so much a purist that I’m prejudiced against technology, but enough that I may be a bit suspicious or “leery”. 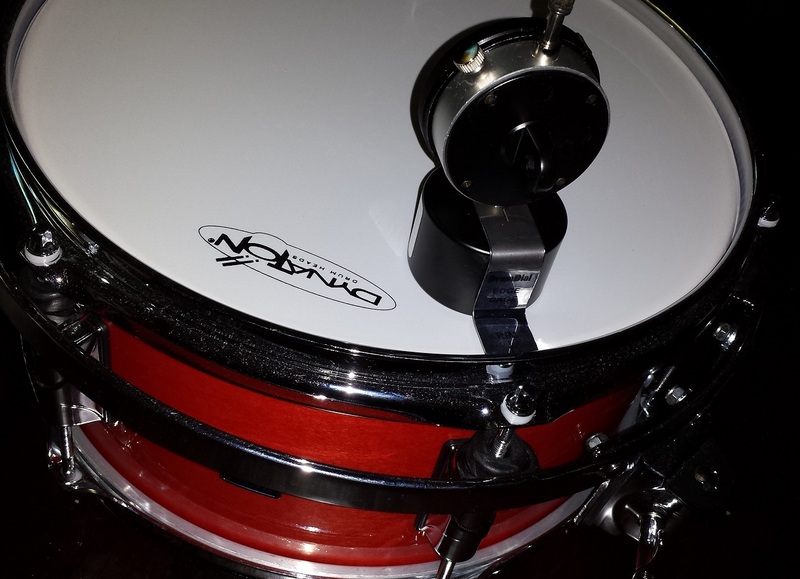 As mentioned earlier, the DrumDial doesn’t fit into any existing segment of products. It’s tempting to compare it to a tuner although it’s not. At least not in the common sense of the word, as the term “tuner” is usually used to describe a device that fundamentally measures frequency. Another tempting comparison is “torque gauges” that measure the tension applied on the tension rods. 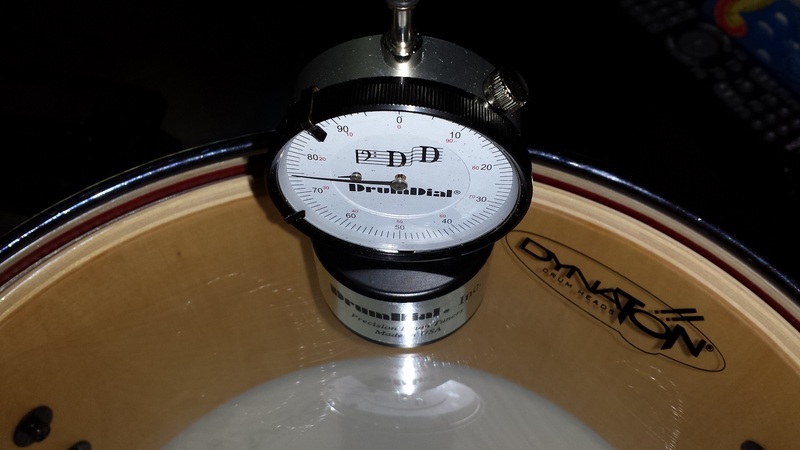 The Drum Dial however gauges the tension of the drum head itself. Simply put, a needle displays the difference in height between the base of the device, and the tip of a “probe”. The “probe” is under the pressure of a spring causing it to push down a microscopic distance below the base. Not in itself a complicated design, but never the less one of tremendous precision, as the DrumDial proves itself able to display even the most minuscule differences in tension with undeniable accuracy. 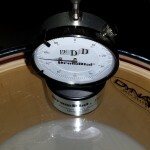 This DrumDial Review is in regards to the analog Drum Dial. There is also a digital version available, with as the name implies, a digital display in lieu of the aforementioned needle. Design-wise the DrumDial is straight-forward and well thought out. Moving parts are reduced to the minimum necessary. It’s condensed down to a small enough size to be practical as a tool without being too small for adult hands. Personally I wouldn’t mind slightly larger and bolder numbers on the display but that’s largely due to me stubbornly refusing to keep my reading glasses nearby. I’m not going to disassemble my new DrumDial in order to assess the level of build quality, but judging from the finish, weight, and overall impression I have no reason to doubt that it’s well made. It has a bit of heft to it, feels solid and sturdy and most importantly the few moving parts move smoothly and without any “steps” or hiccups. A fairly extensive search on the web fails to turn up any complaints of failure, malfunction or defects. As mentioned before, it’s tempting to make comparisons when rating a product. If I compare the DrumDial with various gauges I used to operate around the shop when wrenching on motorcycles, (A previous hobby of mine.) 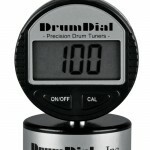 the DrumDial comes out on top even compared to far more expensive devices. Last time I did any extensive amount of tuning was for the Taye GoKit Review. The final tuning test on that kit was quite high, suitable for jazz. 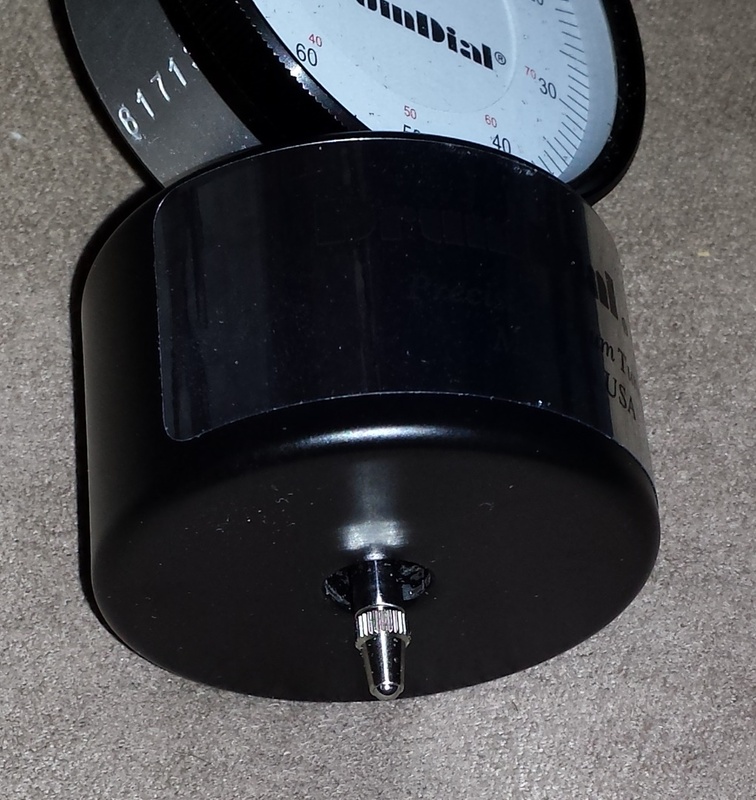 Test #1 of the DrumDial will be to check my tuning job and see how much improvement can be had. I already know I didn’t tune it perfect, but close enough without spending excessive time on it. For me to get each individual drum really close to perfect, by ear, would have taken at least another hour. Maybe one more hour to get them to perfect intervals as well. 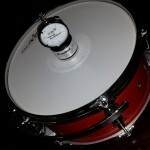 Starting with the 8″ tom I checked the difference between the batter and resonant heads the way I had them tuned by ear. The bottom head was about two “units” lower than the batter head. Then, starting on the resonant head I checked the pressure at each lug using the “Edge Gage” as a guide. The largest variance was between one and two “units”. Following the DrumDial instructions I raised the lowest to the same as the highest and continued around the lugs. As expected the former highest now needed to be lowered a smidge. After going around a couple more revolutions I had them all equalized. Maintaining the mentioned two “unit” difference I then “equalized” all the tension rods on the batter side in the same manner. As expected, this bit of tweaking had a definite recognizable positive impact on the sound. The drum came across “cleaner” and with longer sustain. The same process was then repeated on the rest of the kit. As before the interval between the 10″ tom and the 12″ “floor tom” was just a bit short. 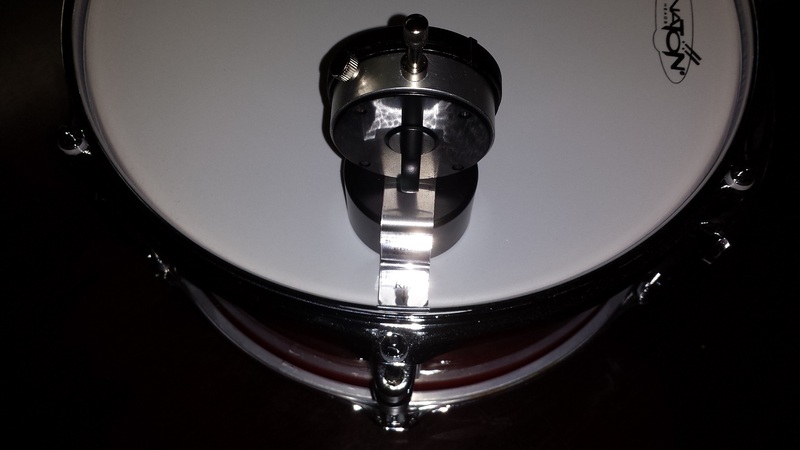 I used the DrumDial to lower the tension on both sides of the 12″ by one “unit” which got it almost there, but not quite so I lowered the bottom head only by an additional unit and got it perfect. I could have reached this level of perfection by ear as well, but, it would have taken me between one and two hours. I just did it in less than 30 minutes. Not to brag but as mentioned before I’m pretty darn good at tuning drums. There are lots of drummers who either don’t have enough experience tuning to get these results, or not enough patience. On to Test # 2, Going for the “Sweet spot”. 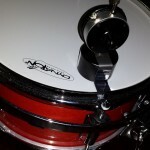 There are multiple ways of tuning a drum kit depending on what you’re looking to achieve. When I just want the drums to sound the best they can with no particular goal in mind as to how “high” or “low” to tune them, this is the process I use. 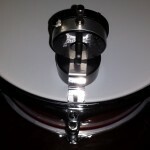 For each drum, start with lowering the tuning to just above “floppy” on both sides. Place the drum on a slightly bunched up towel or pillow, to muffle the resonant side head. Equalize the tension rods of the batter head following the process outlined above. Then bring the tension up one “unit” at a time until you get a really satisfying tone. Continue until the tone quality starts to diminish again and then return to the “sweet spot”. Next tune the bottom head to either the exact same tension for maximum sustain, or between two to five “units” lower depending on what sounds best to you. Do this for each drum. For the snare I tend to prefer the resonant head a few “units” higher than the batter side, but that’s just my preference. Then asses the intervals between the drums. For my Taye GoKit, they didn’t end up where I would have intentionally targeted them, but wow do they ever sound good. I mean really, really good. I was impressed with this kit in every way and in every tuning I’ve tried but my, this is something else. At this point I took a break from evaluating the DrumDial and just played for a while. Again, I could have gotten really close to the same results by ear, but I haven’t as of yet, simply due to lack of patience. For me this tuning would have been at least a couple of hours by ear. For some it may be quicker while for some it would be unattainable. With the DrumDial, just about anyone can attain these results with a bit of patience and an ability to follow instructions. 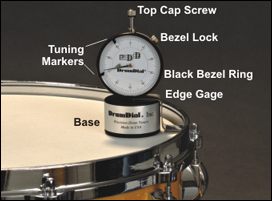 Another easily overlooked advantage of the DrumDial is that a complete tuning job can be performed while sound checking the other instruments. On the same token, it can be performed while somebody’s sleeping in the same room. I also see a huge convenience in being able to write down favourite tunings for different situations/kits/heads and be able to return to them on demand. Once again I find myself reaching for something to compare with. After all, How do I assess value if there’s nothing to compare with? Back to the motorcycle garage. I have a few gages for various purposes that are of similar complexity. My vacuum gage, an oil pressure gauge and a pyrometer, with the exception of the oil pressure gage they all cost more than the DrumDial. They are also all made in China and made of plastic while the DrumDial is made in USA and made out of metal. 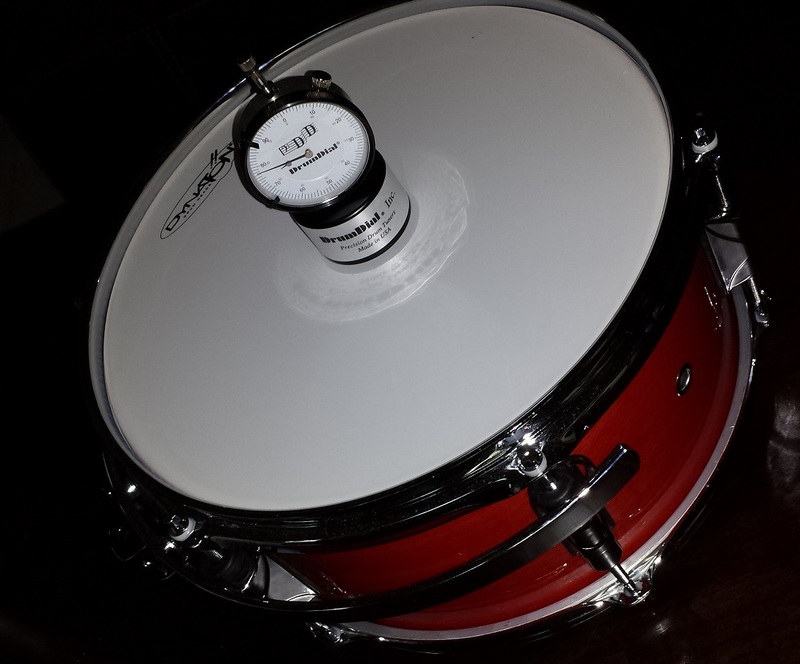 In this comparison the DrumDial certainly is good value for money. Another way to asses value is to use time as a measurement unit. Just assessing the DrumDial’s abilities in the examples above I saved a minimum of three hours. If you tune your drums three times a year and make more than $10/hour, the DrumDial pays for itself. One more case for value. Let’s say that you’re just starting out as a drummer. Likely your tuning skills aren’t that advanced yet. You can spend $1000 on a pretty good drum kit, or you can spend $500 on an entry level kit, which tuned perfectly will sound better than the $1000 kit tuned poorly! Personally, I’m “converted”. Why did I wait this long to get me one of these? Especially in my activities running this website, the DrumDial is going to be a huge asset to me. After trying it out, I can’t imagine reviewing a drum kit without it. With this device, I will be able to review drums in a more objective manner as I can test every drum kit at it’s very best as well as compare drum kits using identical tunings. 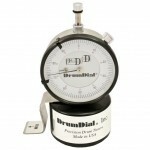 I honestly think any drummer can benefit from a DrumDial. A novice can achieve tunings otherwise not possible, while experienced tuners can save time as well as improve consistency and accuracy. 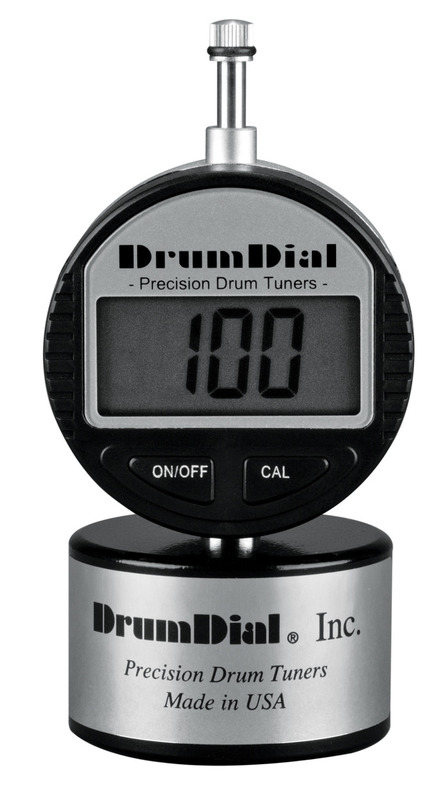 Features: The DrumDial Edge Gage, A locking bezel with moveable locators for easy marking of your tuning range, A lug back for improved handling, Easy to read gage and a precision mechanism for fast, accurate tuning. Just a few tips based on my own observations after using the DrumDial for a few hours.